The future of the automotive industry is a testament of how far technology can go to deliver safety and convenience for drivers. Within the past few years we’ve seen the introduction of almost autonomous safety features helping drivers to stay in their lanes and avoid collisions. We’ve seen convenience features incorporate apps and dynamic navigation to make driving less distracting and markedly more helpful than previous years. And we’ve seen something truly impressive, autonomous vehicles. For years, automotive giants have explored the possibility of developing self-driving vehicles and, recently, Toyota made their stake in the race to autonomous vehicle development. Toyota of Clermont is here with all the details and what you can expect to see from future Clermont Toyota vehicles. Investing $500 million is a serious amount of money and Toyota hasn’t been shy about their eagerness to push forward into a future of new technology for the automotive industry. Their recent investment with Uber has goals to accelerate their autonomous vehicle research program, which is currently on hold in Pittsburgh, Pennsylvania. For Clermont Toyota drivers, it’s difficult to say if this technology will make its way into your next Toyota Corolla or RAV4. 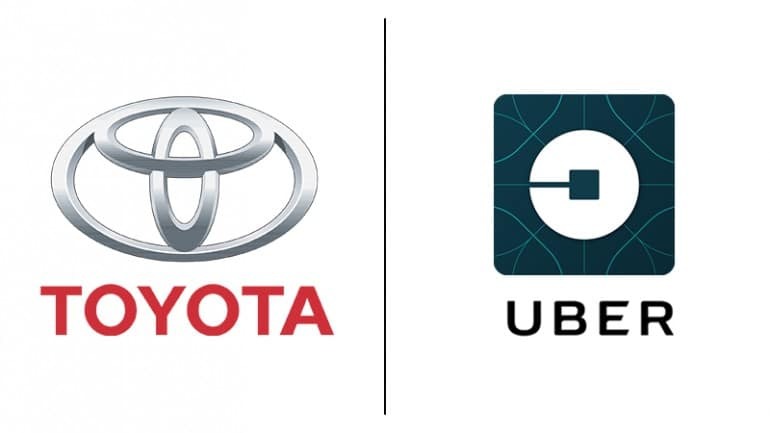 However, Uber does intend to outfit Clermont Toyota Siennas with autonomous vehicle technology for testing purposes with the hopes of real-time application and testing in 2021. This isn’t Toyota’s first venture into autonomous vehicles or into mobility services. Investments into projects like the Toyota Research Institute and artificial intelligence lab, e-Palette, and even other ride sharing companies like Grab show that Toyota is serious about this automotive industry path. A future of personal autonomous vehicles or ride sharing using self-driving Clermont Toyota vehicles is entirely possible and, with these recent moves by Toyota, we could see this technology at our dealership before you know it! Not only do these all new Clermont Toyota vehicles come equipped with advanced safety features, but they also come with advanced convenience technology as well. Large and dynamic touch-screen displays are enhanced by the new Entune 3.0 infotainment software that streamlines your driving experience with easier access to apps like Apple CarPlay, Pandora, Siri Eyes Free, Scout GPS Link, and more! If all this new technology and feature options have you excited, then it’s time to come take a test drive! Come visit Toyota of Clermont at 16851 State Road 50 seven days a week or call us at (352) 404 – 7000 to set up an appointment today!